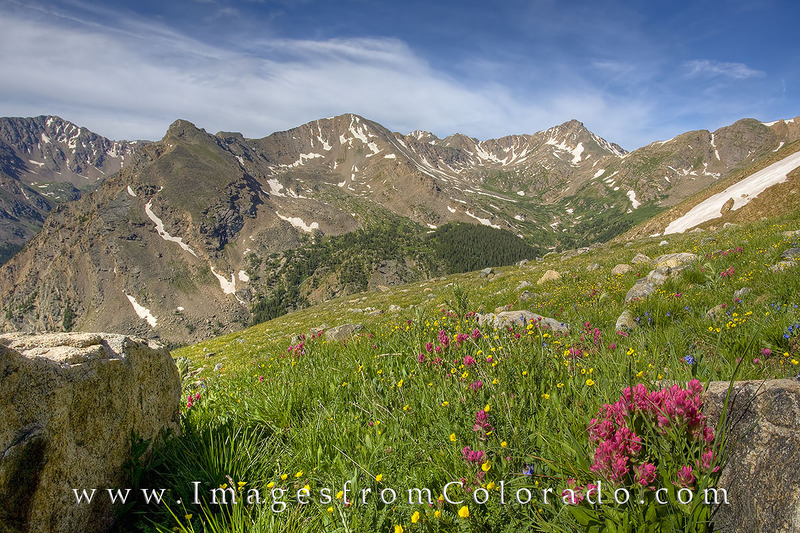 On a morning hike up Mount Massive, one of Colorado’s 14,000’ peaks at 14,421’, paintbrush adorn the green slopes well above tree line. In the distance, Mount Oklahoma (13,845’) rises into the cool July air. This image appeared in the October, 2016 issue of Backpacker Magazine. Photo © copyright by Rob Greebon.